The world changed tremendously with the launch of Pinterest in 2010, and soon semi-crafty folks everywhere were declaring, “Hey, I can make that myself!” A new era of craftiness was born along with that gorgeous feed of stunning crafts and fabulous ideas. Unfortunately, lurking beneath that seemingly perfect Pinspiration were all of the photos of the not-so-ideal crafts that didn’t quite make the cut. 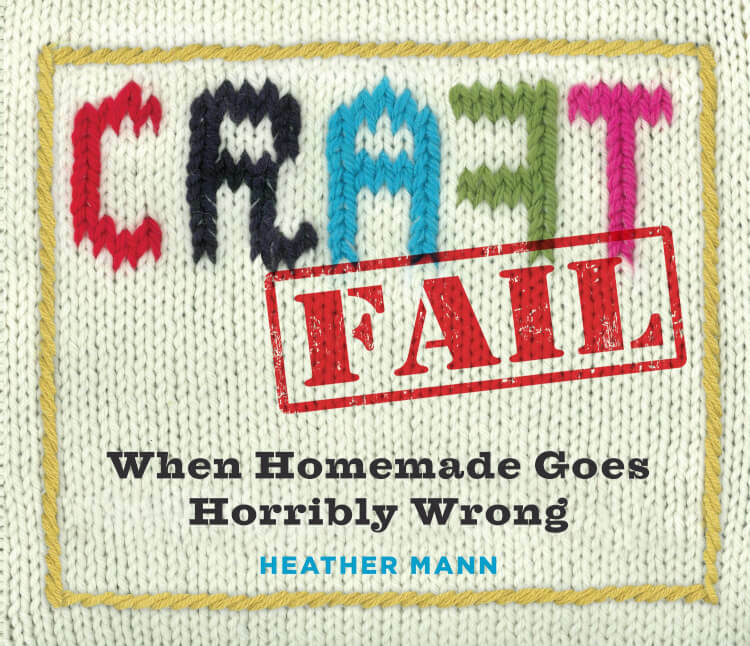 In her new book, Craft Fail: When Homemade Goes Horribly Wrong, Heather Mann shares some of these hysterical failures with you, and they’re sure to leave you doubled over in fits of giggles! 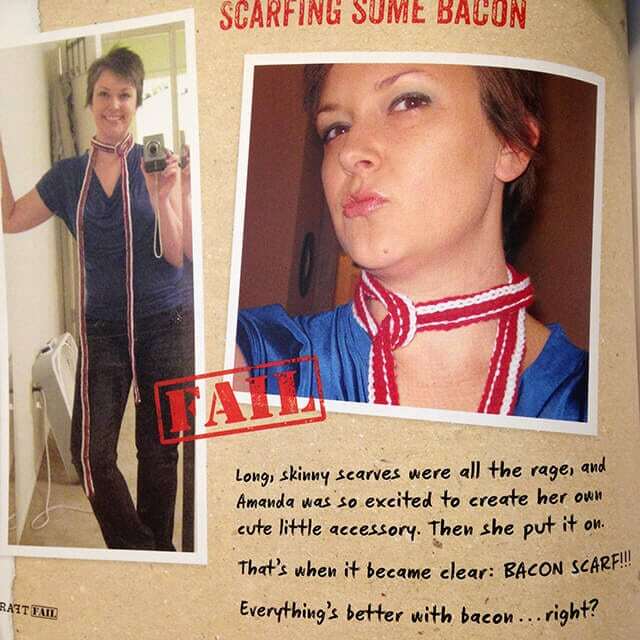 Amanda’s skinny Bacon Scarf cracks me up! Everything’s better with bacon…right? I’ve seen this cute button bowl all over Pinterest, but have you ever seen any of these spectacular button bowl failures? I have to admit that at first glance it took me a half a second to realize what was wrong here, too! Oops! Oh, deceptively “simple” marbled nail art. This is one of the hottest pins, but one of the most misleading! 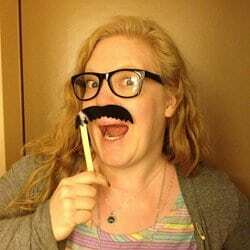 I’ve only seen this recreated successfully a couple of times, but the dozens upon dozens of failed attempts have been hysterically entertaining! 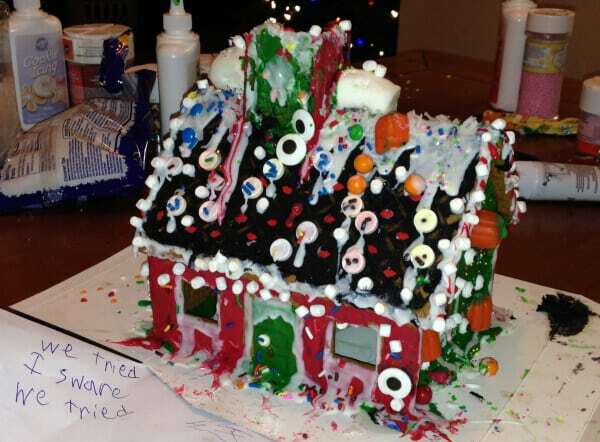 William and Demetra received this note from their teens after they attempted to assemble the family’s gingerbread house for the year: “We tried. I [swear], we tried.” LOL! Pick up your copy of Craft Fail: When Homemade Goes Horribly Wrong today! 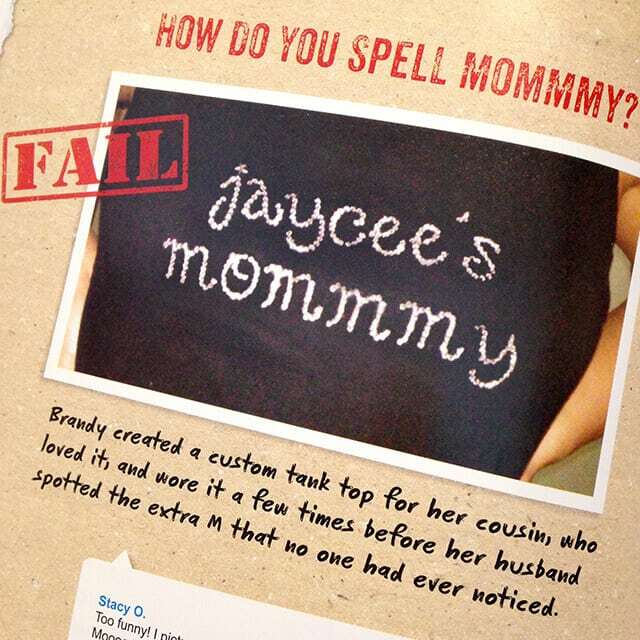 It will make a perfect holiday stocking stuffer for your Pinterest obsessed friends! Haha! What a fun book! My daughter can do her nails like the Pinterest picture shown. I’m pretty sure I would have a horrible fail though.